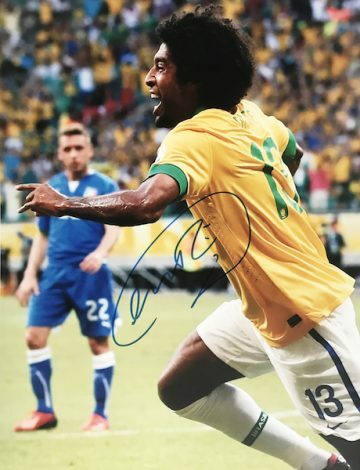 Shop for signed Brazil football memorabilia including signed Brazil shirts, football gloves and autographed photos. All of these items come with a certificate of authenticity, most with an actual photo of the item being signed. We dispatch worldwide with fast EU shipping and a Free UK delivery service. 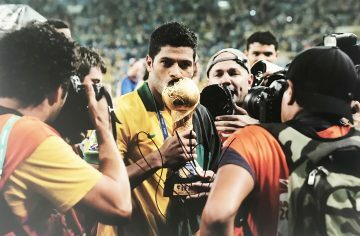 Brazil has long been heralded as one of the world’s football hotspots – thanks to a nationwide love for the game and its reputation for producing world-class players and trophy-hungry national teams. It’s in their blood – a key aspect of the national identity. Brazilians even often refer to their country as ‘o Pais do Futebol’ or ‘The country of football’. Despite the fact that football is now ingrained firmly in Brazilian culture, it was in fact once an unfamiliar import, brought over by a Scottish expatriate named Thomas Donohoe. British expats joined him and with that the sport quickly expanded, with clubs beginning to crop up around Sao Paulo. 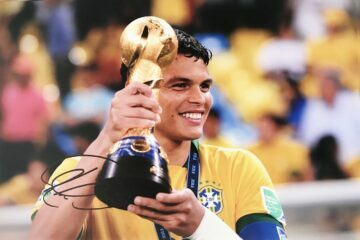 Brazil has long been feared at the FIFA World Cup, beating off rivals including Uruguay and France to secure the top spot an incredible five times. They have also triumphed in the Copa America cup, winning three times throughout the tournament’s history. 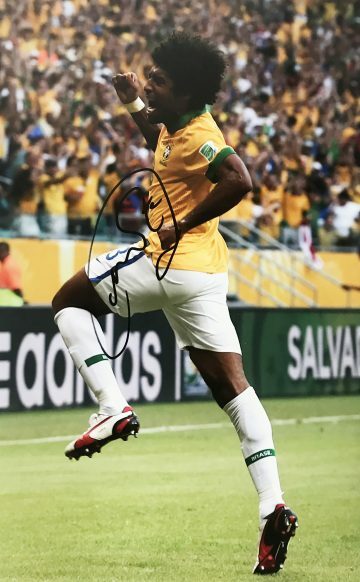 Brazil’s distinctive and unique style of play is renowned worldwide, dominated by dribbling and creative passes and footwork. It is often described as unusual or unorthodox, as it’s guided by passion rather than the rules of the game. The country is famously home to Pele, statistically the most successful footballer of all time. Those following in his footsteps include Neymar, Coutinho, David Luiz and Ronaldinho. 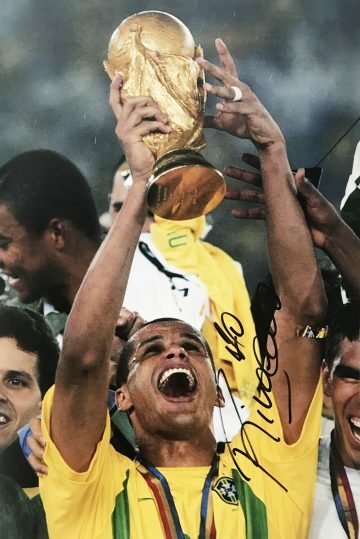 Signed Brazil football memorabilia fetches record amounts thanks to the country’s popularity and prominence on the world stage. 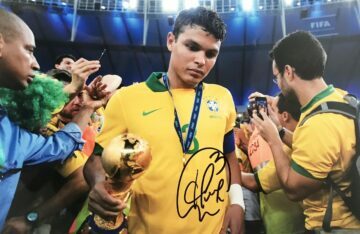 Our fantastic collection includes a wide variety of items including signed Brazil shirts, gloves and autographed photo displays. All items are provided with a certificate of authenticity and guarantee, so you can be sure that you’re making a sound investment. Browse now to find the perfect gift, display or commemorative item for your collection.